I can’t quite believe I blithely said that I would cast on, and take this lace pattern to a new knit group a friend and I visited last week. What was I thinking?! 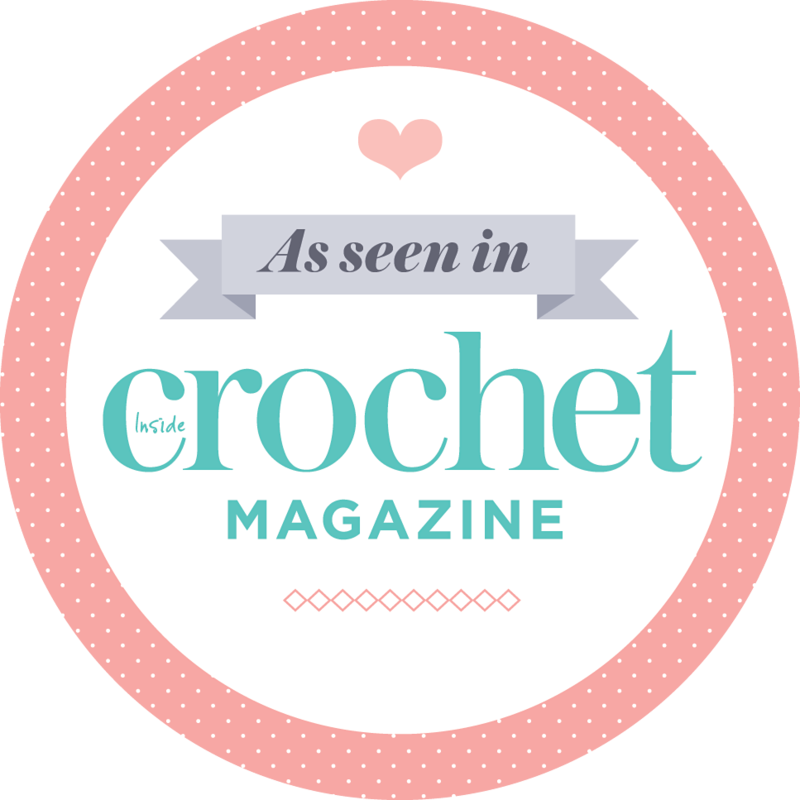 Especially as I’ve said here that I’ve always taken crochet or something easy to knit while I chat and drink. So, I cast on the 70 odd stitches, knitted 3 lines chanting k2tog, yo, ssk, psso etc and realised I’m just going to either knit a cobweb, or seem like an total oddball. I grabbed the rest of a ball of bamboo cotton, my little notebook and knit another waffle knit cloth. I still had to concentrate but it was far easier than doing the lace pattern chant and appearing really antisocial. For my usual knit group later in the week I took some Not so soothing (after all) granny squares and sat darning the ends in for the whole evening, until my eyes felt like they were bleeding. So, that’s 480 – 140 = 340 to go. Never again, NeVeR. It’s a crochet wasteland at the moment here I know. 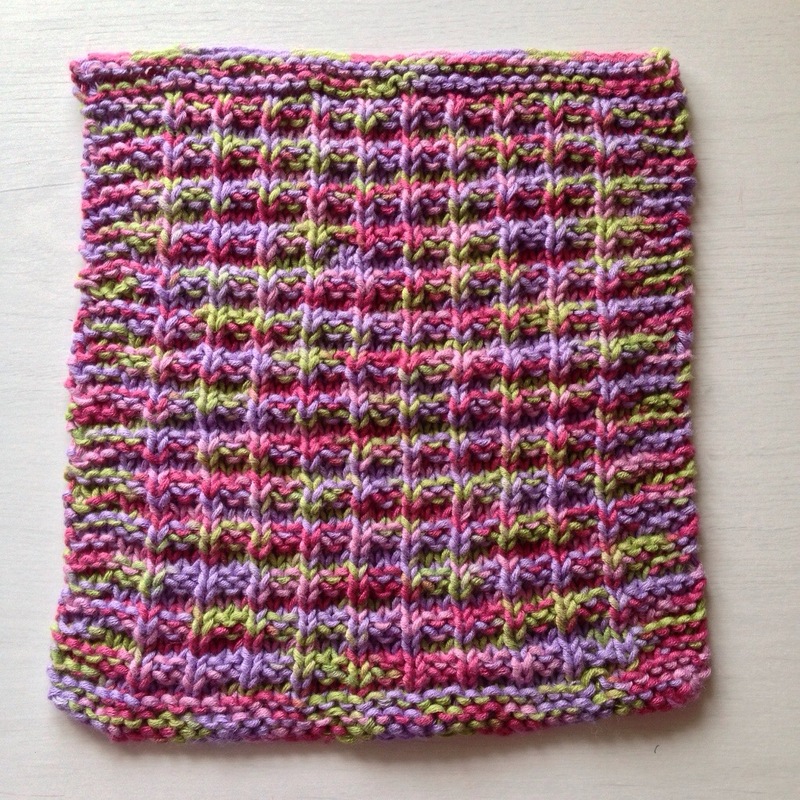 But if I start something new the granny squares will be permanently in my Yarndale bag undarned. I’m not (really) going to mention the amount of water that’s surrounding us, and which has the potential to flood the house. There’s no point getting worked up or worried at this point. We were on flood alert over Christmas and it came to nothing. Although the cumulative effect of all this rain means we have fields and fields and fields underwater all around and impassible roads…. I was awake, looking out of all the windows, in the early hours last night just checking that the neighbours weren’t canoeing along the road. We had a huge storm and I think the high wind woke me up, plus the fact I’d checked the flood status (‘on alert’) before bed meant it was on my mind. Anyway, let me share my gorgeous recipe for a warming, very filling breakfast in these rainy times. I keep making it and never ever need to eat before lunch after this bowl of yumminess. Put all in a pan and cook on low for at least 15-20 minutes. 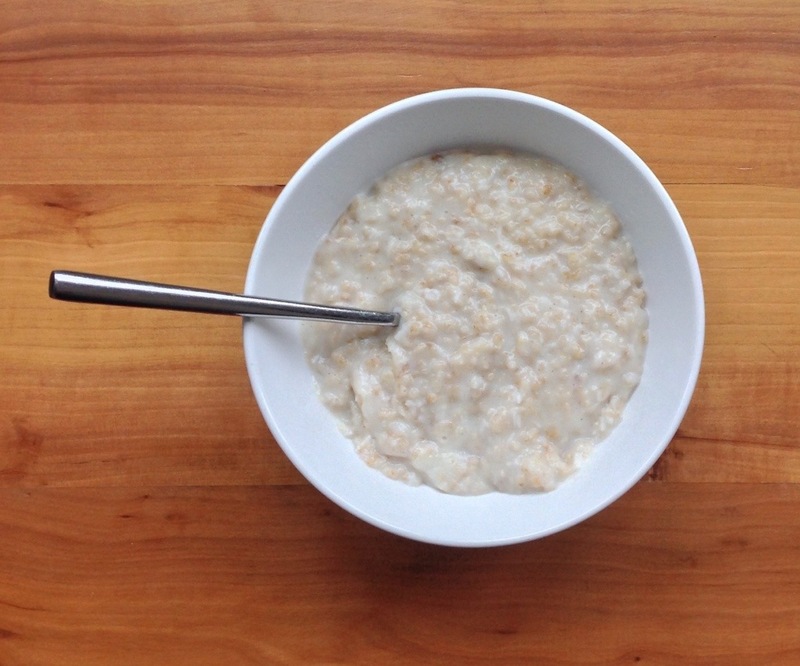 You get the creamy flavour from the porridge with added texture of the coconut, sweetness and flavour of the brown sugar. It is DELICIOUS. I’ve had banana porridge, apple, cinnamon over the last 4 months, and also eaten it plain, but this coconut version is my current favourite. I was rooting about in the pantry one morning for something different to add to it and came across the coconut. It was leftover from when I’d baked a coconut and cherry cake last autumn. Try it and let me know what you reckon? MMmmm roll on tomorrow morning. Printed book: Park Lane by Frances Osborne. Kindle: re-reading (guilty pleasure) The Friday Night Knitting Club by Kate Jacobs. Audio book: I’m really enjoying Red Joan by Jennie Rooney, narrated by Juliet Stevenson. I’ve listened to other books she’s read and love her style (I keep hearing a cello at certain times as I strongly associate her with Truly, Madly, Deeply but that’s not too distracting!) It’s turning out to be a cracking story with mystery, intrigue and some complex characters. Thanks for your recommendations last week. Sorry to hear you are in a flood alert area. I keep thinking about all the people in Somerset. it looks dreadful. Porridge sounds good, maybe I should try it. I normally have muesli or porridge for breakfast. Golden syrup is tasty too. At first gelanceerd, seeing the first photo, I really thought that woman had a giant interchangeable hanging around her neck. :) I love the waffle knit cloth! Keeping my fingers crossed for you re the flood alert. Doesn’t sound good. Maybe you should crochet a canoe? I’m sorry to hear about the flood alert. Well, you can knit away your anxiety though. I like the colors of waffle knit. I prefer them as doily than laces. 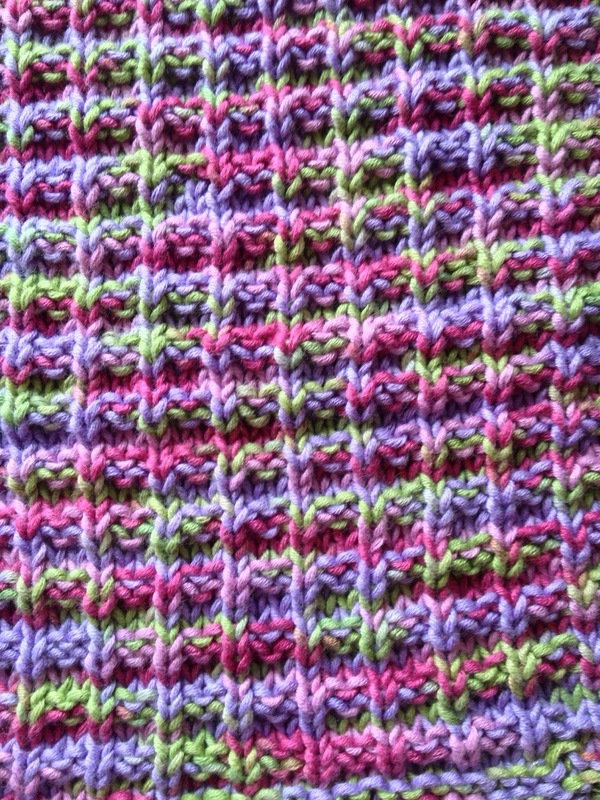 Gorgeous colours in that waffle knit cloth. Porridge is my regular breakfast but normally with bananas or blueberries. Brown sugar and coconut… Mmmmm… Sounds yummy and a bit naughty from SW point of view. A friend has date syrup on her porridge… Sweet and sort of caramelly. 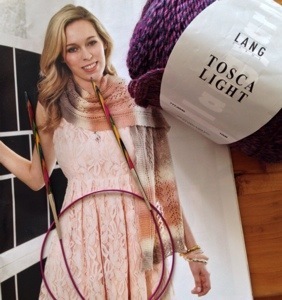 I’m loving the colouring of the wool :) the Friday knitting club book sounds fun, I’m reading Longbourn at the moment. I’ve made your coconut porridge twice now and love in!